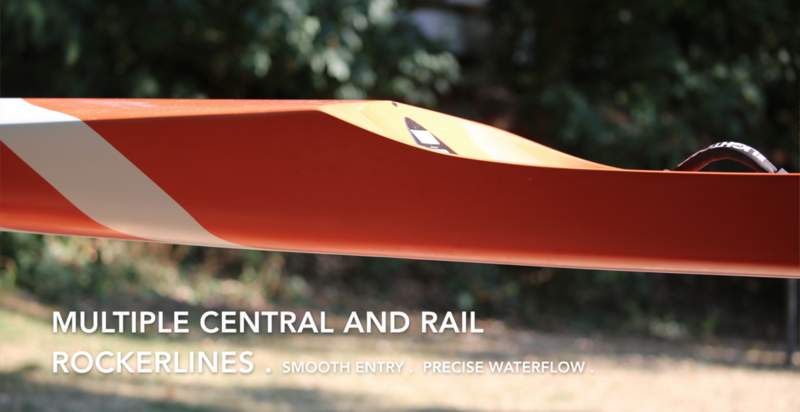 The Light "GT" race incorporate Nelos vast experience to create the fastest flatwater canoe hulls using the most advanced hollow TRIPLE 3k CARBON pvc vacuum heat cured construction and our surf sport design experience. 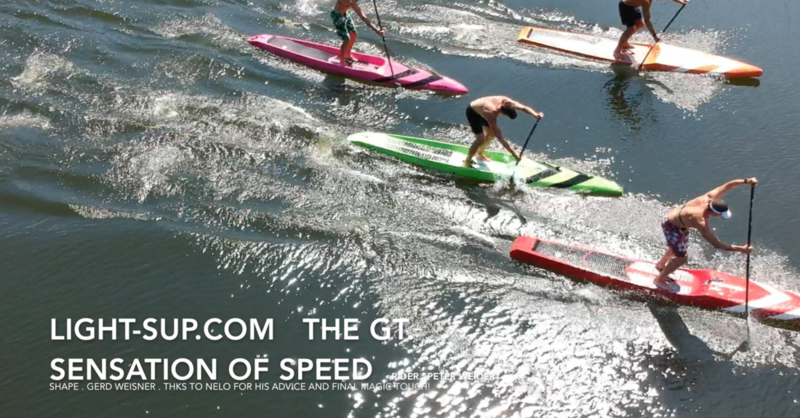 THE "GT" is designed without compromise to offer the fastest sleek design flat deck race board in the market. Multiple rail and central rocker lines are combines with complex but not exaggerated bottom contours featuring non splash entry design with a sharp nose that vastly moves into round forgiving contours that run into a subtle mono concave in the standing area which are running out into a nearly flat tail. Edges start soft and round into subtle chamfered rails that gradually ease out into a sharp release. 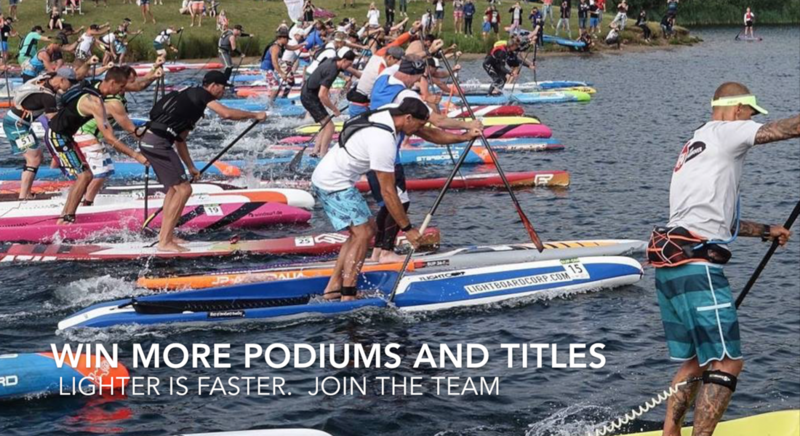 Tripple carbon foam epoxy vacuum heat cured race boards are lighter, stiffer and faster. 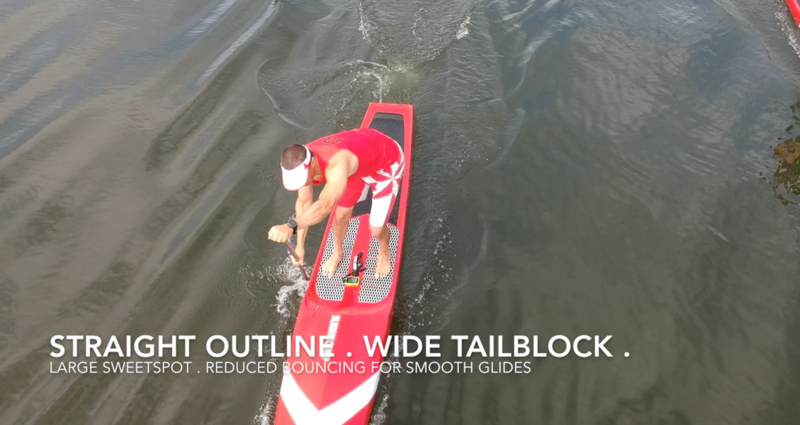 The average weight of a GT 14´x 23.5" is around 9.50kg. The standing cockpit area is comfortable dampening and slightly flexing while the integral monocoque body is recognizable. stiff.